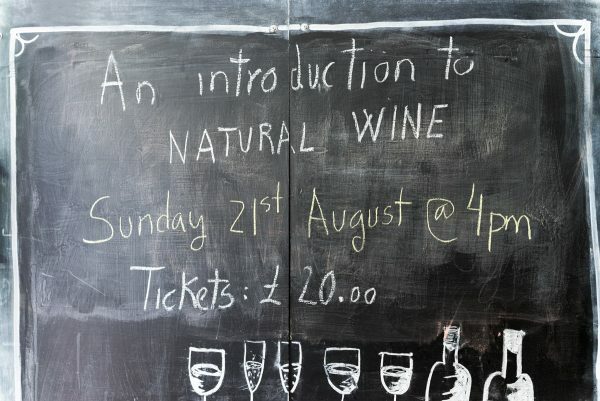 What Makes A Wine Natural? 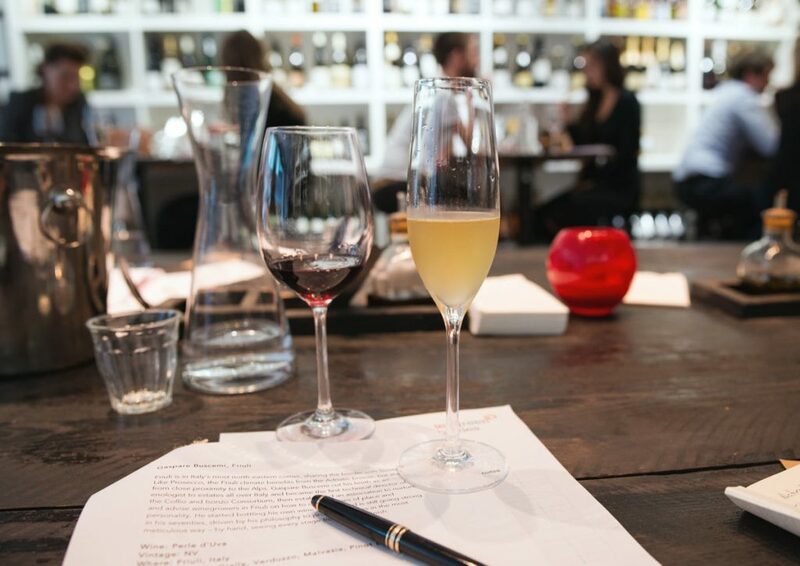 There is a lot to discover about natural wines as producers are constantly evolving and improving their methods. 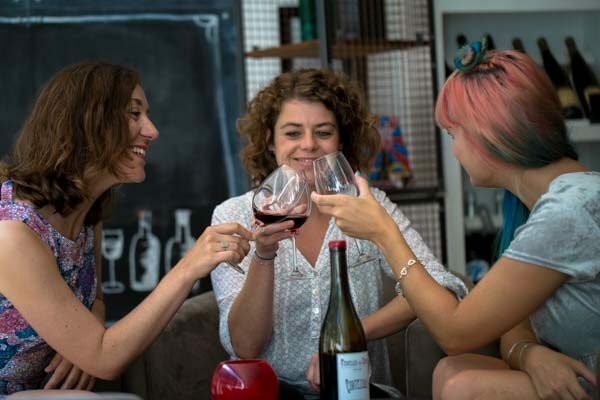 We understand that natural wines are those produced naturally from grapes without adding or removing anything during the wine making process. The result is a true reflection of the land where that wine is born. 1. Viticultures may follow ancestral cultivation methods with minimum impact on the land. They use only natural products and follow organic and biodynamic agricultural techniques (This doesn’t mean the wine is organic and/or biodynamic) The use of certain chemicals such as sulphur and copper oxide is accepted just to the bare minimum in certain regions. The use of green compost is advisable in place of chemical compost, herbicide, pesticide and GMOs. 2. In addition to a respectful cultivation towards the environment, there is a coherent behaviour when channeling the resources needed such as energy, labour and water. Wines are bottled and covered only by natural corks. It is a plus if there is a compromise to improve the environment; waste is reduced to the minimum, energy saving is a priority and resources are distributed in the most efficient way possible. 3. The viticulture is the wine’s author. This author controls the vineyard. He or she is responsible of all the work produced and makes the decisions. It’s preferable that the vineyards are within a property; it is preferable too that the producer gets involved in all tasks required dedicating most of his / her time to the vineyard. The purchase of grapes from a non controlled vineyard is not allowed. 4. The grape has to reflect the conditions of the land and the vintage (a specific year’s harvest). There shouldn’t be any elements distracting from the true expression of the land and the grape in the wine. Manual and handcrafted labour is preferred; any machinery used shouldn’t alter the qualities of the grape or the land. The grape juice won’t be filtered or clarified in order to preserve its natural qualities. Commercial yeasts or any other substance that helps accelerate the different fermentation processes are not allowed at any stage. Acidity is not corrected, chaptalization is not allowed either. In other words, the wine does the job following it’s natural process and evolution. 5. Sulphur Dioxide (SO2) is harmful to humans. Its fumes are highly irritant and toxic making it extremely dangerous for those manipulating it. It may cause severe damage and even death when exposed to it for long periods. Consumers might have allergic reactions to it and headaches are the most common symptoms. Some people think they’re allergic to certain grapes, that’s a common naive mistake but truth is they’re allergic to SO2. Sulphur Dioxide can not be added in any step of the process. If there’s any SO2 present in the wine it’s only allowed to be produced naturally by the grapes. 6. Honesty and transparency are the main values of natural wine producers. Their whole process, research and discoveries are available to us as an open source. These are coherent between what is said, practiced in the field and the resulting product. When possible, these procedures have to be backed up and get the right exposure to the public. Their manifesto is signed by those involved and presented to their consumers, at times it gets stamped by notaries to add credibility. Information cannot be hidden. 7. There is this code of conduct where all information is shared among all members of a given association. They collaborate on technical, commercial and legal subjects or whatever subject needs to be looked at. Partners and colleagues must adhere to this code of conduct and honour each other. Their philosophy and work ethics are the standards set to follow by each member. The land has to be respected and worked in an ethical manner in order to get the best grape it will produce each year. The knowledge they gain has to be shared among them. 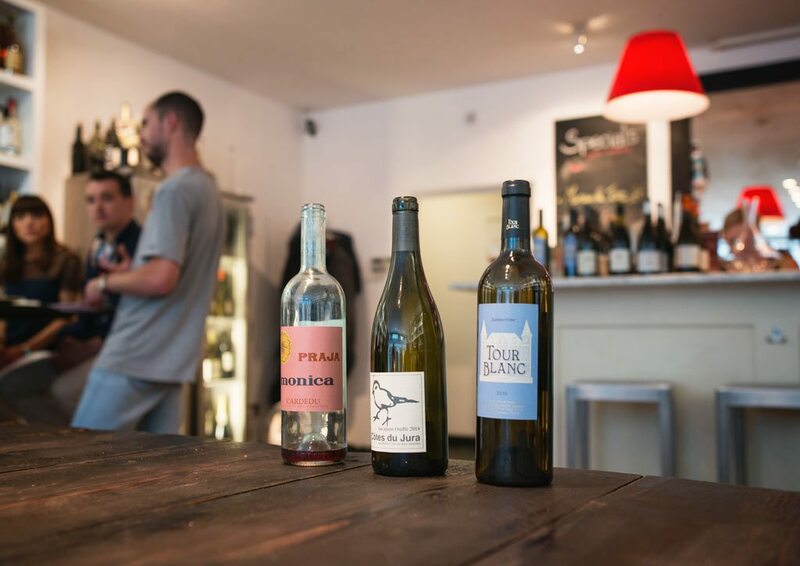 We went to one of Ten Green Bottles monthly tastings which coincidentally consisted only of natural wines. The tasting was given by Ben of Totem Wines which in their own words, they import wines from small producers in lesser known regions of France and Italy. 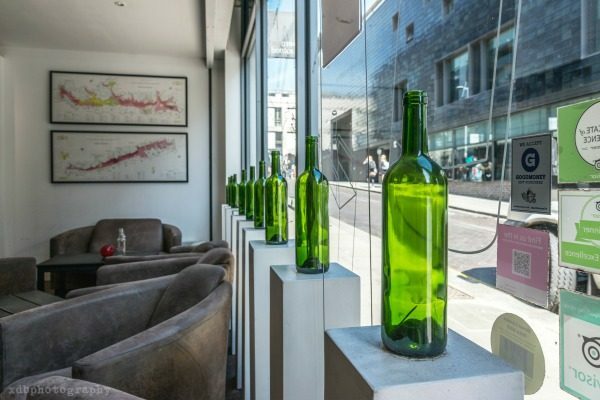 They are a natural wine supplier for Ten Green Bottles. First to come was the Tour Blanc Summertime, from the Landes region in SW France. A wine produced by painter couple Philip and Sandra Kelton. The wine is a 2010 vintage and is produced 100% from Ugni Blanc grapes. 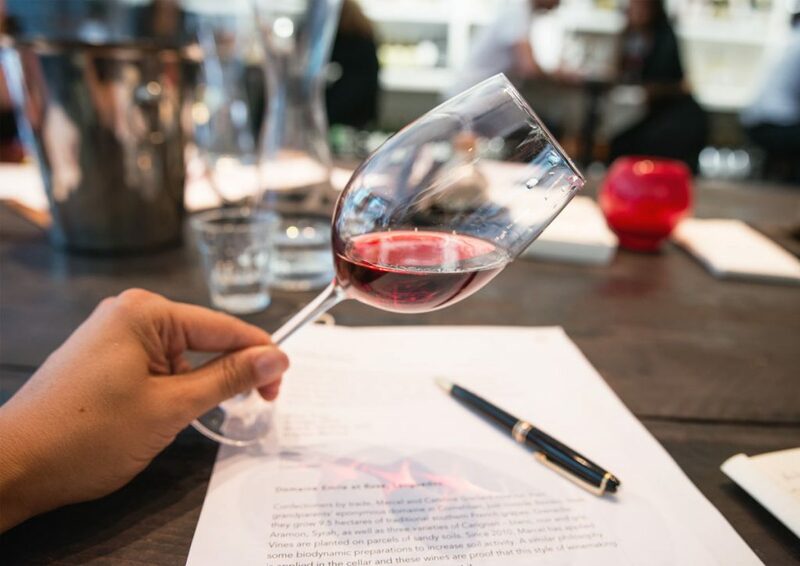 The vineyard is uncertified biodynamic, however the vineyard co-exists with trees, tall grass, sheep and other animals to make the best out of the soil according to our notes. 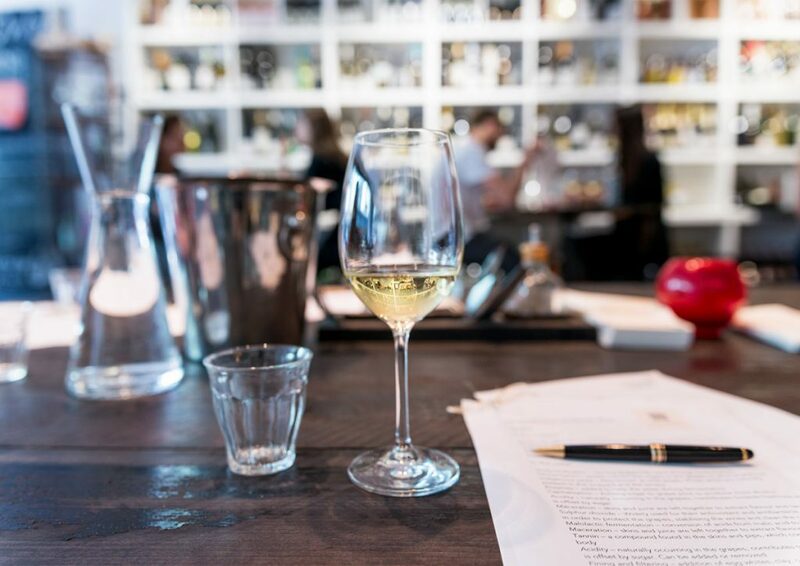 The wine has an inviting pale yellow colour with light green hues, it’s clear and light in appearance. 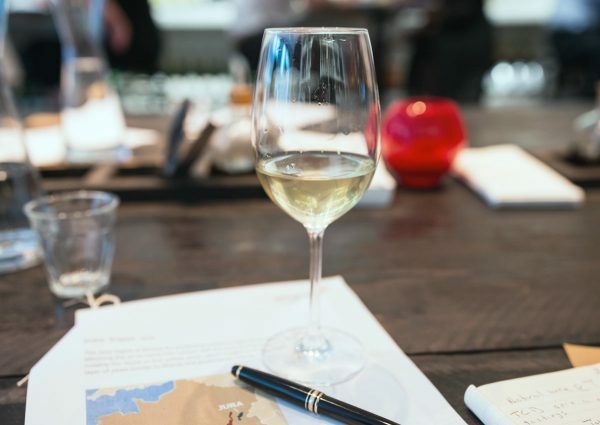 In the nose it is packed with peach, mandarin and a touch of marshmallow in the end.In the palate, it is fresh and lively, has a gentle acidity making it perfect for a light meal. Lightly fruity with a lovely honeycomb and caramel finish. Savagnin Blanc Not Sauvignon Blanc! Next was the 2014 Savagnin Ouille produced by Didier Grappe in Jura (Eastern France) If you’re familiar with Jura, you’ll know about their Vin Jaune (yellow wine) an aged, oxidised wine in the style of Jerez with that characteristic nutty flavour. 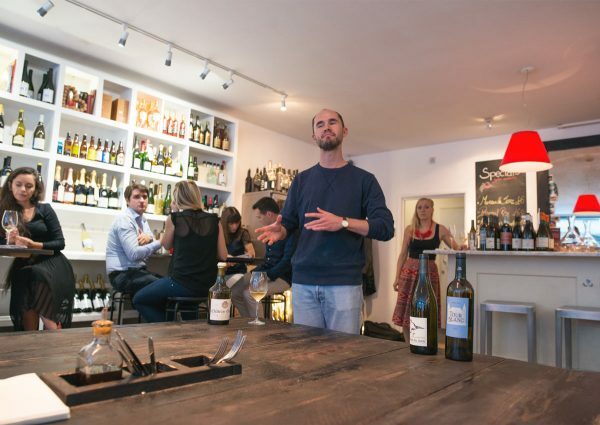 According to Totem’s tasting notes, producer Didier Grappe follows all of the above mentioned points as he believes less is more when it comes to natural wines. He follows a non oxidative way to preserve the grape’s character and does nothing to the natural process: No yeasts, no chaptalizing, no acidifying, no filtering. Oh, and it’s made of 100% Savagnin Blanc not Sauvignon Bc. The wine is cloudy, with a bright yellow colour in appearance. In the nose it’s very complex with notes of apple compote, brioche, dried nuts… In the palate it’s sharp and mildly acidic. It has some body and the hoppy flavours make it similar to those of a pale ale. It’s a complex wine and I’ll stay with the smokey and white pepper aromas. Perfect with roasted poultry and smoked cheese. Moving on to red wines now. The first one to come was a 2015 Praja from Cardedu in Sardinia. A side project of a well known producer in the island. These wines come from the most mountainous part of Sardinia and they’re fermented in steel vats and bottled unfiltered according to our notes. This wine is produced 100% from Monica grapes which grow nowhere else but in Sardinia. Praja means beach which I understood why is called like that after tasting the wine. It’s a bright ruby red, clear and light in appearance. In the nose is mineral, herbal and I particularly enjoy the notes of hibiscus and cherry. 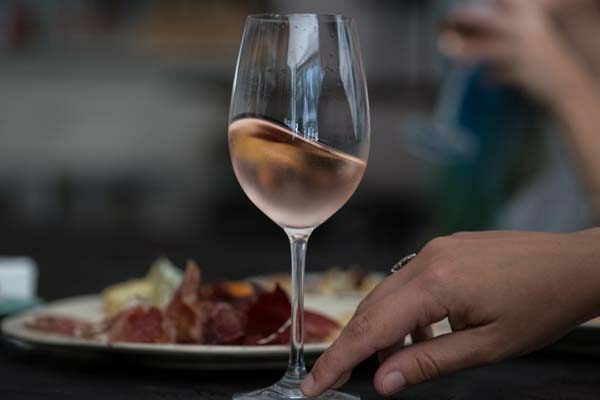 In the palate is dry, fast and sharp, it should be chilled and works well as an aperitif, with snacks or with a light meal. Next was Les 5 Seaux 2015 from Domain Emile et Rose in Languedoc (Southern France) A family run domain growing traditional Languedoc varieties. Since 2010 they’ve been applying biodynamic techniques to increase soil activity. A similar philosophy is applied in the cellar too. Made 100% of Cinsault. This wine has an intense velvet colour and appears slightly heavy in body. In the nose it’s packed with red fruit and berries characteristic of the variety, sadly it seemed to lack depth and character. In the nose was a bit of the same, though it’s gentle tannins were pleasant, the wine is short and fast. I found it hard to get anything out of it. Our last red was the 2014 Terre Brune by Yves Duport in Bugey, A not so well known region in Eastern France between Lyon and Geneva. This wine is made 100% of the Mondeuse variety. The wine has a deep purple hue, it appears velvety and full of body. In the nose it’s packed with blackcurrants and spices, it’s complex. In the palate it’s big and round, the tannins are silky, and it’s full of flavour. This one is for a meal with your best friends. I’m sure this wine would age very well. It has a pale straw colour, the bubbles give an interesting golden highlight. It’s a bit cloudy too. In the nose is full of citrus and pineapple notes. Want To Try For Yourself? Most of these wines will be available at 10 Green Bottles. 10 Green Bottles organise monthly tastings on a Sunday. Check their calendar for updates.